I was lucky enough to be invited to my third vRetreat, this time taking place at the home of Chelsea Football Ground Stamford Bridge and sponsored exclusively by Cohesity. The first general session at VMworld 2018 covered every aspect of VMware’s execution of their vision, from the application to the device on any cloud and most importantly with intrinsic security. Today’s South West UK VMUG was sponsored by HPE and StorMagic. 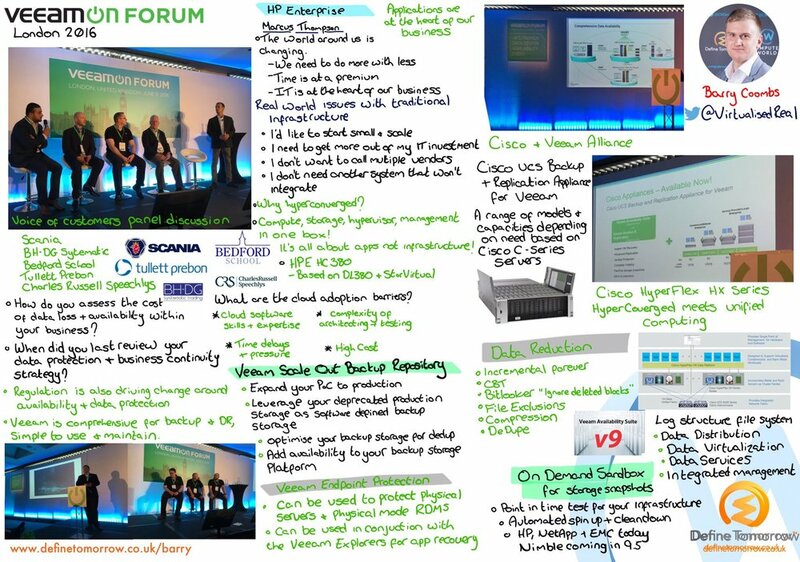 HPE spoke to the VMUG audience about Infosight their Storage analytics platform included today within their Nimble storage solutions but coming to other HPE product lines in the future. StorMagic was one of my favorite presentations they spoken about their virtual storage platform that is designed for small, RoBo and IoT use cases. Their platform is designed to deliver high levels of availability with options for SSD caching and encryption for small virtual environments. At vRetreat March 2018 we heard from Zerto regarding their latest release version 6.0. Version 6.0 further increases their functionality as multi-cloud data protection, replication and migration solution. Below is a whiteboard video that I have recently recorded looking at how the Zerto replication technology works on premises. In the future I will create videos creating the other replication methods. It was a great pleasure to see E8 Storage at Storage Field Day 14, their product is today focused on Linux based workloads that require high performance. Using the latest advancements in storage technology they are utilising NVMe connected flash storage to deliver millions of IOPS in a 2U form factor. Head over to the tech field day website to see all the videos and blogs from fellow attendees. Zivan Ori, CEO & Founder of E8 Storage, gives a company overview. Founded in 2014. Bill Quigley, Systems Engineer at E8 Storage, gives a review of the hardware appliance, and a preview of the management GUI, including maintenance operations and system performance. I have worked a lot the Dell EMC mid-range storage portfolio over the years, at Storage Field Day 14 it was my first opportunity to hear Dell present the whole combined portfolio as one in a customer facing environment. Dell discussed by the Unity and SC products, their features and functionality. With the new combined portfolio, Dell EMC has a product for everyone in the midmarket space. I really enjoyed learning about VMAX at Storage Field Day 14, not only does it have a great legacy within DellEMC and supports many thousands of mission-critical workloads, the latest innovations also allow increased performance and scalability to meet modern-day needs.